Politics is normally defined as the process by which disputes as to outcomes of public policy are resolved peacefully. That entails debate. If there is unanimity there is no politics, as there is nothing to dispute. If policy is imposed without debate, there is no politics. Politics is at the heart of a healthy political system. Different views are heard and the merits of each debated. Parliament provides an authoritative forum in which the views of the people are expressed through their representatives. The institutional framework is important. There are structures and rules designed to ensure that each side is heard. 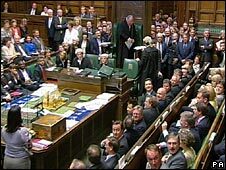 Parliament proceeds on the basis that government is entitled to get its business, but the Opposition is entitled to be heard. However much one might disagree with the other side, it is important to listen to the arguments. The issues are debated in public: people can watch and listen. There has always been a problem in getting people to recognise that there are two sides to an argument. Exponents of a particular view write to MPs and peers asking them to support their policy preference. When the opposite side is agreed, they then write to the parliamentarians to complain ‘you didn’t listen to us’. They have been listened to, but they have been disagreed with. They are very different things. Parliamentarians have to listen to both sides and weigh up which has the greater merits. The problem seems to be getting worse, not least with the growth of social media. That growth may be the cause of, or simply facilitate, a greater tendency of people to assert rather than justify an argument. It may be a cause in that Twitter, for example, permits short comments rather than argument and helps reinforce prejudices without the need for justification. It may be coincidental (though reinforcing) as issues come on the political agenda that engender intense feelings and offer binary choices. The most obvious case is withdrawal from the EU. European integration has been the fault line of British politics since 1945 and has been the cause of notable conflict at different points, none more so than during and since the leave/remain referendum campaign of 2016. Each side has adopted a discrete position, taking its case as so obviously superior to the other that proponents cannot understand why others take a different stance. That remains the case, with people on each side adopting positions that amount to little more than shouting soundbites at one another. There appears little willingness to concede that there are actually two sides to an argument and it is a case of weighing the points advanced on each side. That doesn’t mean that one cannot come to a clear conclusion, but that should be the result of reasoned debate. I have clear views on a range of issues – House of Lords reform being a good example – but I recognise counter arguments and am willing to engage with them. I may be unusual in that I recognise that there are arguments on both sides of the EU argument. One has to come to a conclusion as to whether to leave or remain, but that should be the consequence of engagement by both sides and not by shouting insults at one another. Far too many proponents on each side assume moral superiority and as a consequence come out with claims they believe to be self-evident, but which are closer to being ludicrous. This tendency is a threat to a healthy democracy and puts even more pressure on Parliament than before to demonstrate its value as the arena in which issues of public policy are debated and resolved. How that is to be achieved in the face of increasingly cash-strapped newspapers that are in danger of acting as megaphones of readers’ prejudices rather than informing debate is a particular conundrum. Social media are part of the problem. The obvious answer is for Parliament to turn social media to its advantage and use those media to show the value of reasoned debate. It is already seeking to do so, but the challenge is a mammoth one and entails significant resources, but knowing that may be the way forward is at least a step in the right direction. Leadership on the part of politicians, by being willing to engage in debate, is a prerequisite. This entry was posted in Uncategorized and tagged EU integration, Parliament, parliamentary debate, politics, print media, social media. Bookmark the permalink. Just listening in from paradise where politics are working flawlessly…..
That does seem to be getting chipped away. The LDs don’t abide by the Salisbury Convention. The Lords in general seems much less willing to accept election mandates. I’m sure you remember the 2015 GE when within just a few weeks the Lords inflicted an unprecedented number of defeats against the government that were contrary to the winning &/or implementing the losing manifestos. All fair enough but I think you are being generous if supposing all (perhaps even most) MP/Peers fairly listen to both sides. You may be but I’m not sure if the EU Ref is a good reference point. Its unusual, being a binary and fundamental decision, rather than most issues where there is a natural warp and weft between positions and ideas; though perhaps that is why it continues to cause the issues it does. Sadly the Lords is worse than the Commons in this respect, many debates feel like they have been on a permanent loop since the result. Its not simple that many peers don’t like the result but more problematically they don’t accept it. We don’t have to like the result of any Ref any more then any GE but we have to accept the result or we lose the foundations of democratic government. Croft: I don’t think parliamentarians are often swayed by contrary views, but I think reading or hearing them is valuable – it makes you think more thoroughly about the justification for one’s own views – and hearing both sides may be influential on newly emerging issues where one does not have an established view. The EU referendum offered a binary choice – it that respect it may be unusual, but by no means exceptional – and the continuing debate highlights the problems of interpreting why people voted as they did. I am amazed by how many people appear to have insights into why millions of people voted as they did. All we know definitively is how they voted, not why they did so. I know there are data from opinion polls, but those are not definitive and generally are interpreted to fit the fixed view of the interpreter. A Prof of mine once said (chatting) in the bar that when you’re 20 you change your views like clothes, when you hit your 40s you protect them like children. I think there is much truth in that. Given I’m sure i’m not alone in watching HoL debates because they are less tribal/ideological and more thoughtful I do wonder if the House appreciates that it is doing it self no favours atm. Croft: Don’t think that happened to me at 20! (Mind you, most things that are supposed to happen to people at different ages appear to pass me by.) On your last point, some peers are most certainly aware of it and exercised by it. I am not the only one. You may find things improve at Report stage of the Bill. Barbara Castle (Lab). It is the order in which women have served in the Cabinet. The issue with politics in the UK I believe is the intense tribalism and resorting to petty name-calling and slur-flinging by both sides of any argument, pandering mostly to the tabloid view of politics and issues in national discourse by the general public (which unfortunately seems too dumbed down themselves to even want to recognise or ask for nuances and compromise). One couldn’t be a Leaver without being slandered as a xenophobe or racist (as if legitimate concerns about how best to manage immigration and foreign populations in the UK are xenophobic or racist in nature! ), just as much as one couldn’t be a Remainer without being slandered as sellouts to the EU gravy train or unpatriotic ( as if legitimate interests in maintaining trade and political ties with the EU wasn’t a good thing that helped the UK prosper during the heady days of Thatcherite neoliberalism and globalisation writ large). Centrism is now a dirty word used for fence-sitting politicians who try to please everyone and offend everyone at the end of the day. One is reminded of W.B Yeats and that prosaic line in “The Second Coming”: “…the best lack all conviction, whilst the worst are full of passionate intensity”. There is every right for Remainers to question Brexit, however to try and stop it from happening in the first place is to jump the gun on the issue of potentially reversing it once the concrete ramifications and aftermath of Brexit has finally manifested themselves. In the haste to “save the country” for their sides both Leavers and Remainers forget to remember that Country comes before Party and Self, and for better or worse a decision has been made for the UK to step into the unknown with Brexit and unity in facing everything good or bad together, come what may is surely more important than partisan points-scoring or fighting for the moral high ground.